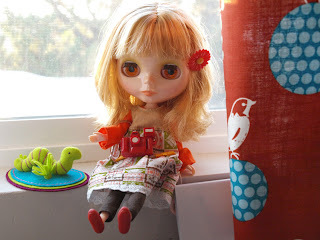 Willow by Alexander Henry, A little surprise, New Blythe and Utter Randomness! Okay, so it's a been awhile right? I have a few little things to catch you up on. 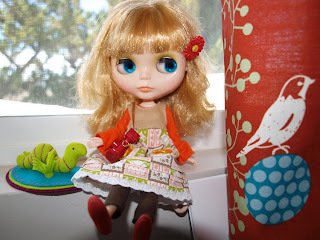 My First Blythe Doll arrived after a trip across the ocean. She's here, I adore her, and a New Love has been born! I thought I was addicted to fabric, huh, might now have a total new addiction, but a super fun one! And I'm so proud! You can see why here. 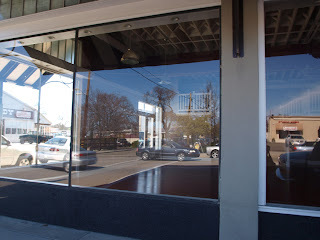 We will of course be keeping you apprised of our move and all the fun displays and window designs. We've been busy, only a month or two before we move in. It's going to be fabulous! Stay in touch! We love to hear your comments! Oh my! 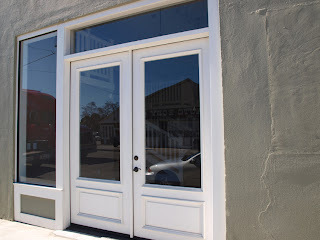 I can not wait to visit you in your new store! Yay! And congrats! 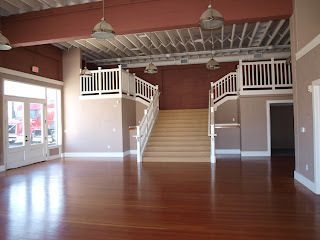 Wow Cynthia - how exciting - the new storefront looks amazing - great for displaying lots of quilts and stuff...love the stairs! Congrats - I'm sure it will help with lots more foot traffic! Your new store looks so great! Especially the grand staircase. I wish I lived near by to come visit. wow wanna open up a store in my neighbourhood. Looks awesome, so Gone with the Wind that staircase. Look forward to more piccies. Good luck. I wish I could visit your store, but I will have to be happy shopping on line. I love Blythe dolls too. My daughter has Mod Molly, and really I play with her the most. It is so fun to make dresses... and get some wigs - wigs are super fun! whoa! new store looks fab! i see the potential and am eagerly awaiting lots of pics of what you'll do with it. thank you for the beautiful textiles, I love them. Hey! 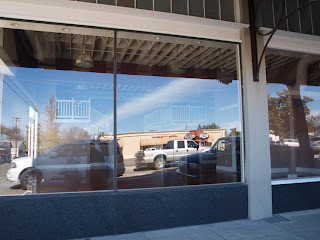 I'm moving my shop to bigger digs too! Congratulations, I hope everything goes smoothly for you. It looks like a lovely space. 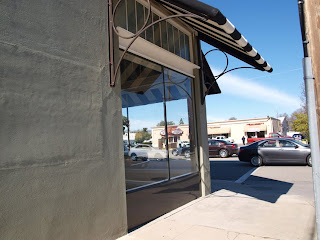 oh how I wish I lived closer to you and that fabulous store...it's dreamy! 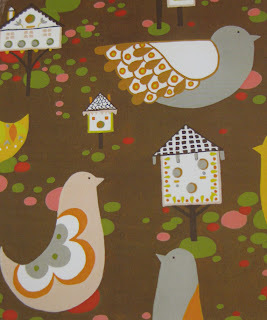 The Cassiopeia Spice is the MOSt adorable fabric...little houses adn birdies, so cute. 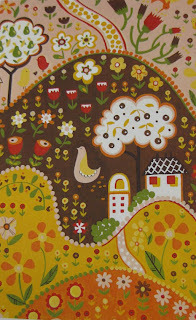 This line of fabric is adorable, and will look super in matching aprons. The store looks awesome. So sad I live too far away to visit. I found your blog through Park City Girl and I love it! I just got into sewing so I'm sure you will have some great inspirations for me. BTW, love the fabrics! Yay on your 1st Blythe!! Congrats on the impending move--Happy Chi coming your way! OMG, the store location is absolutely gorgeous!